After introducing a lot of combo and add-on packs, the biggest DTH provider has introduced Smart Packs in various regional languages. 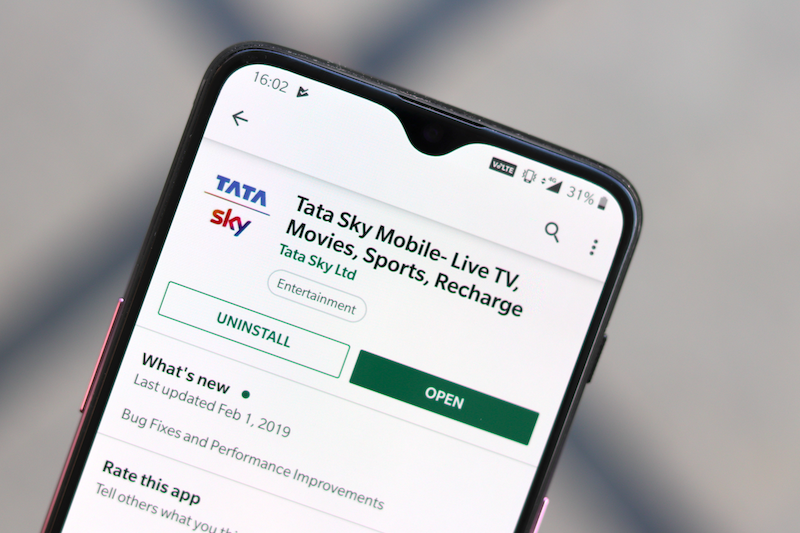 Tata Sky has been on the tiptoes for launching new packs, different bundles and more for the subscribers to give them many choices. 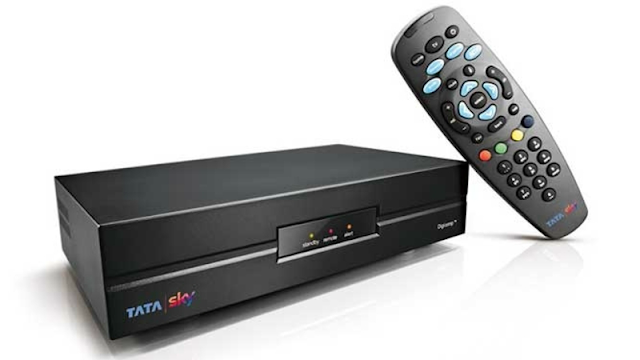 Besides from the combo packs, which all the DTH operators are providing, Tata Sky has come up with mini packs which will allow the subscribers to add select channels from genres without shelling a lot of money. Some of the mini or add-on packs were also in the higher range and HD quality. These packs included Tamil Regional HD pack for Rs 164, Tamil Mini HD Pack for Rs 81, Telugu Regional and Mini HD pack for Rs 216 and Rs 90. The same options with similar pricing were available for other languages like Kannada, Malayalam, Marathi and Bengali. There is also no lack of broadcaster packs on Tata Sky’s dashboard. Although we believe that the recommended packs by the provider are the best way to go, Tata Sky’s extensive range of broadcaster pack will allow the subscribers to make flexible choices regarding their channel selections. In the newly-debuted broadcaster packs for Tata Sky, first is the Sony Happy India South B pack which is available for Rs 29.5 and the second is the Turner Family HD pack which is available for Rs 14.75. Best DTH Provider After New Trai Mandate: Tata Sky, Airtel Digital TV, D2h or Sun Direct? 2. Sun Direct, Tata Sky and Dish TV did away with additional slab NCF charges to attract more customers. However, D2h subscribers have faced and are still facing a lot of issues related to various channels. In fact, most of the consumers are still not able to reach the company’s toll-free number for clarifying their doubts. Dish TV is also offering similar combo packs to the consumers since it’s the one who operates D2h. Sun Direct is a prominent DTH provider in the south, and it is safe to say that although the provider does not boast of a widespread network in the North, it has established a solid stronghold in South India. Further, the move of completely doing away with additional slab NCF charges made Sun Direct an attractive choice for a lot of subscribers. Following in the lines of other DTH providers, Sun Direct has launched new channel packs, regional channel and add-on packs in HD, SD. After weeks of noticing the happenings in the DTH industry, we have noted that in terms of the number of channels and number of channel packs, ease of migration and customer service Tata Sky is the DTH provider which has managed to satisfy the subscribers to a large extent. The provider had also launched a similar offer as Sun Direct by doing away with NCF on select channels. With that being said, it is also worth noting that as the days pass DTH providers are easing into the migration process, and the move to the new Trai plans along with the customer service can be expected to improve for all DTH companies in the coming weeks. Do let us know what you experienced with your DTH provider in the comments section below. Tata Sky, Sun Direct TV and Dish TV appear to have removed the extra Network Capacity Fee (NCF) on the base pack for subscribers, according to a report on TelecomTalk. Before you think this means that the entire NCF of Rs 130 has been removed, remember this only relates to the extra NCF that applies after a user has more than 100 channels in their prescribed pack. The first 100 channels attract NCF of Rs 130 + 18 per cent GST, which comes to Rs 153 in total. For users who choose more than 100 channels, the NCF is Rs 20 per slab 25 additional channels. So what has happened is that these three operators are offering more than 100 FTA (Free to Air) channels with the NCF limited to Rs 130+18 per cent GST. First in the case of Sun Direct, the company has revoked NCF charges for all of its channels, says the report. Based the company’s website, it is offering a total of 140 channels in the back pack of Rs 130+18 per cent GST. The base pack also includes the 25DD channels, which are mandatory for all cable/DTH operators to provide. The report also notes that in case of Tata Sky, the player has removed NCF on some channels, but these are limited. So users can add some channels to their list of 100 FTA channels, without incurring extra NCF. However, not all FTA channels will be exempt from this extra NCF. 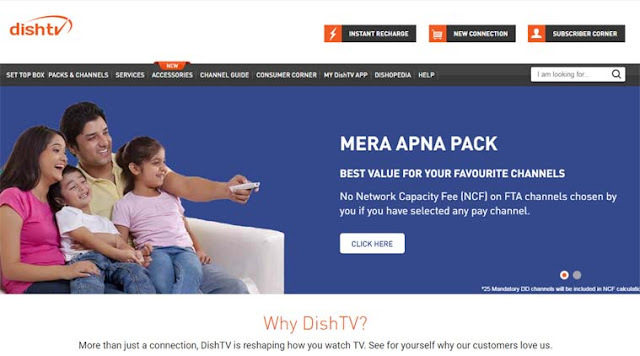 Dish TV’s website has also removed the NCF on some FTA channels. The website for Dish TV is also flashing this promotional offer saying there will be no NCF on FTA channels if a user has chosen any paid channels. As we saw in our Dish TV account, around 189 FTA channels can be added to the cart without paying any additional NCF. This is for the base pack price of Rs 130 (exclusive of tax). The cost of paid SD and HD channels will still be extra. While the price of paid channels will be added to your bill, the NCF which is paid to your cable/DTH company will remain at Rs 130 plus 18 per cent GST. For those who add more than 100 channels, the NCF is extra Rs 20 per slab of Rs 25 channels. For example, if you add 150 channels, then the total bill will be Rs 130+20+20=Rs 170 for the NCF alone, plus 18 per cent GST, which brings the price to Rs 200. This is assuming you have all FTA channels in this list of 150. What Tata Sky, Dish TV and Sun TV have done is that under the NCF of Rs 130 they are offering more than the 100 free channels and waiving off the extra NCF that they would have normally charged. 10. Every cable operator or DTH player has been asked to run a consumer information channel preferably on channel No. 999 wherein consumer-related information including the prices of channels shall be displayed.